Proinflammatory cytokines contribute to beta cell damage in type 1 diabetes in part through activation of endoplasmic reticulum (ER) stress. In rat beta cells, cytokine-induced ER stress involves NO production and consequent inhibition of the ER Ca2+ transporting ATPase sarco/endoplasmic reticulum Ca2+ pump 2 (SERCA2B). However, the mechanisms by which cytokines induce ER stress and apoptosis in mouse and human pancreatic beta cells remain unclear. The purpose of this study is to elucidate the role of ER stress on cytokine-induced beta cell apoptosis in these three species and thus solve ongoing controversies in the field. Rat and mouse insulin-producing cells, human pancreatic islets and human EndoC-βH1 cells were exposed to the cytokines IL-1β, TNF-α and IFN-γ, with or without NO inhibition. A global comparison of cytokine-modulated gene expression in human, mouse and rat beta cells was also performed. The chemical chaperone tauroursodeoxycholic acid (TUDCA) and suppression of C/EBP homologous protein (CHOP) were used to assess the role of ER stress in cytokine-induced apoptosis of human beta cells. NO plays a key role in cytokine-induced ER stress in rat islets, but not in mouse or human islets. Bioinformatics analysis indicated greater similarity between human and mouse than between human and rat global gene expression after cytokine exposure. The chemical chaperone TUDCA and suppression of CHOP or c-Jun N-terminal kinase (JNK) protected human beta cells against cytokine-induced apoptosis. These observations clarify previous results that were discrepant owing to the use of islets from different species, and confirm that cytokine-induced ER stress contributes to human beta cell death, at least in part via JNK activation. Flora Brozzi and Tarlliza R. Nardelli contributed equally to the study. The online version of this article (doi: 10.1007/s00125-015-3669-6) contains peer-reviewed but unedited supplementary material, which is available to authorised users. 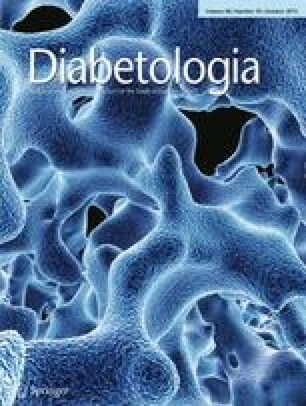 Type 1 diabetes is characterised in most cases by islet inflammation (insulitis) and consequent dysfunction and death of pancreatic beta cells. Locally produced proinflammatory cytokines, such as IL-1β, TNF-α and IFN-γ, contribute to beta cell apoptosis . One important mechanism by which cytokines contribute to beta cell death is via induction of endoplasmic reticulum (ER) stress and the consequent triggering of the unfolded protein response (UPR) . The canonical UPR is mediated through activation of three ER transmembrane proteins: inositol-requiring protein 1α (IRE1α), protein kinase RNA-like endoplasmic reticulum kinase (PERK) and activating transcription factor 6 (ATF6) [3, 4, 5]. These proteins detect the accumulation of unfolded proteins in the ER lumen and activate mechanisms to restore its homeostasis [3, 4, 5]. In unresolved ER stress, persistent stimulation of the UPR triggers apoptosis via activation of C/EBP homologous protein (CHOP), c-jun N-terminal kinase (JNK), death protein 5 (DP5) and other pro-apoptotic signals [6, 7]. Markers of the UPR are expressed in inflamed islets in vivo, in both samples from NOD mice [8, 9] and pancreatic sections of individuals with type 1 diabetes . ER stress is also induced when pancreatic islets or purified beta cells are exposed in vitro to cytokines [2, 11]. Importantly, in both NOD mice and individuals with type 1 diabetes the beta cells fail to sustain components of the adaptive UPR, contributing to their demise . The mechanisms by which cytokines trigger ER stress remain under debate. Initial studies indicated that IL-1β + IFN-γ causes ER Ca2+ depletion and apoptosis in rat beta cells and rat insulin-producing INS-1E cells via production of NO and the consequent inhibition of the sarco/endoplasmic reticulum Ca2+ pump 2 (SERCA2B) . On the other hand, it was suggested that IL-1β + TNF-α + IFN-γ induces X-box binding protein 1 (XBP1) splicing and PERK/eukaryotic initiation factor 2 (eIF2α) phosphorylation in mouse islets or MIN6 cells independently of NO production . It is not clear whether these discrepant results reflect the use of different species (rat or mice). Furthermore, it should be determined which of the two animal models, if either, reproduces the patterns of cytokine-induced ER stress in human islets, the ‘gold standard’ to understand human disease. In order to answer this question, we exposed rat and mouse insulin-producing cells, human pancreatic islets and the human beta cell line EndoC-βH1 (HβCL) to cytokines, with or without concomitant inhibition of NO production. The data obtained suggest a key role for NO in cytokine-induced ER stress in rat islets, but not in mouse or human islets. Furthermore, a systematic comparison of global gene expression obtained in human, rat or mouse pancreatic islets after cytokine exposure indicates a greater similarity between human and mouse gene expression than between human and rat. In spite of these differences, we observed that cytokine-induced ER stress is also important for human beta cell death. Thus, the chemical chaperone tauroursodeoxycholic acid (TUDCA), previously shown to mitigate ER stress  and protect rat and mouse beta cells against ER stress-induced apoptosis , or a small interfering (si)RNA blocking CHOP, a key executioner of ER stress-mediated apoptosis [2, 14], partially protected human islet cells against cytokine-induced apoptosis. Finally, we identified JNK as a crucial downstream mediator leading to human beta cell apoptosis. These observations clarify previous discrepant results in the field, which are due to the use of islets from different species, and suggest that cytokine-induced ER stress, at least in part via JNK activation, contributes to human beta cell death. Human islets from 12 non-diabetic donors (electronic supplementary material [ESM] Table 1) were isolated in Pisa as described . Beta cell purity (immunofluorescence for insulin) was 50 ± 4%. The islets were cultured in M199 culture medium containing 5.5 mmol/l glucose and sent to Brussels, Belgium, within 1–5 days of isolation, where they were dispersed and cultured in Ham’s F-10 medium containing 6.1 mmol/l glucose as described [16, 17]. Insulin-producing HβCL cells, kindly provided by R. Scharfmann, University of Paris, France , were cultured as previously described  (see ESM Methods for details). Rat insulin-producing INS-1E cells, kindly provided by C. Wollheim, University of Geneva, Switzerland, were cultured in RPMI 1640 GlutaMAX-I medium (Invitrogen Life Technologies, Paisley, UK) . Mouse insulin-producing MIN6 cells, kindly provided by S. Lenzen, Hannover Medical School, Germany, were cultured in DMEM containing 4.5 g/l glucose and 4 mmol/l l-glutamine supplemented with 100 U/ml penicillin and 100 μg/ml streptomycin, 70 μmol/l 2-mercaptoethanol and 15% FBS. All cell lines used are mycoplasma free, and are checked on a monthly basis. The inducible NO synthase (iNOS) blocker N G-methyl-l-arginine (l-NMMA; Sigma, Steinheim, Germany) was dissolved in water and used in INS-1E and MIN6 cells at 1.0 mmol/l and in human islets at 5.0 mmol/l, concentrations previously shown to prevent cytokine-induced NO production [11, 12, 21, 22]. The chemical chaperone TUDCA (Calbiochem, Darmstadt, Germany) was dissolved in water and used at 62 μmol/l and 125 μmol/l, based on dose–response experiments (data not shown). The following cytokine concentrations were used, based on previous experiments performed by our group [16, 23, 24, 25]: recombinant human IL-1β (R&D Systems, Abingdon, UK) 10 U/ml for INS-1E or 50 U/ml for human islets, MIN6 and HβCL cells; recombinant rat IFN-γ (R&D Systems) 100 U/ml for INS-1E or 1,000 U/ml for MIN6; human IFN-γ (Peprotech, London, UK) 1,000 U/ml for human islets or HβCL cells; recombinant murine TNF-α (Innogenetics, Gent, Belgium) 100 U/ml for INS-1E and 1,000 U/ml for all the other cell types. Lower cytokine concentrations and shorter time intervals were used in the INS-1E experiments because rat beta cells are more sensitive to cytokine-induced damage than mouse and human beta cells [22, 26]. Culture medium was collected for nitrite determination (nitrite is a stable product of NO oxidation) by the Griess method [27, 28]. The detailed protocol for the Griess method in HβCL cells is described in ESM Methods. The siRNAs used are described in ESM Methods. The optimal conditions of siRNA transfection (30 nmol/l) were previously established [16, 29]. Cells were transfected using Lipofectamine RNAiMAX (Invitrogen) [29, 30]. AllStars Negative Control siRNA (Qiagen, Venlo, the Netherlands) was used as negative siRNA control (siC); it does not affect beta cell gene expression or insulin secretion in INS-1E cells, primary rat or human islet cells [29, 30] or in HβCL cells (see ESM Methods). The percentages of viable, apoptotic and necrotic cells were determined after 15 min incubation with propidium iodide (5 μg/ml; Sigma-Aldrich) and Hoechst dye 33342 (5 μg/ml; Sigma-Aldrich). A minimum of 600 cells were counted for each experimental condition by two independent observers, one of whom was unaware of sample identity. This fluorescence assay for single cells is quantitative and has been validated by systematic comparisons against electron microscopy observations, ladder formation and caspase 3/9 activation [16, 31, 32, 33]. Poly(A)+ mRNA was isolated from cultured cells using the Dynabeads mRNA Direct kit (Invitrogen) and reverse transcribed as previously described [34, 35]. The real-time PCR amplification reactions were done using iQ SYBR Green Supermix (Bio-Rad Laboratories, Temse, Belgium) and the concentration of the gene of interest was calculated using the standard curve method [34, 36]. Gene expression values were corrected by the housekeeping genes β-actin and Gapdh, the expression of which is not modified in these cells by cytokine treatment [16, 37] and normalised by the highest value or as indicated in the figure legends. The primers used in this study are described in ESM Table 2. Cells were washed with cold PBS and lysed using Laemmli sample buffer (60 mmol/l Tris pH 6.8, 10% Glycerol, 1% SDS, 0.001% blue Bromophenol and 5% β-mercaptoethanol). Total protein was extracted and immunoblotted with the specific antibodies for the protein of interest as described . The antibodies used are described in ESM Table 3. Human islet collection and handling were approved by the local ethics committee in Pisa, Italy. Male Wistar rats were housed and used according to the guidelines of the Belgian Regulations for Animal Care. All experiments were approved by the local ethics committee. Data are expressed as mean ± SEM. A significant difference between experimental conditions was assessed by one-way ANOVA followed by a paired Student’s t test with Bonferroni correction. A value of p < 0.05 was considered statistically significant. Information on the comparative global analysis of human, rat and mouse datasets is provided in ESM Methods. Rat INS-1E cells and mouse MIN6 cells respond similarly to cytokines compared with their respective primary counterparts, i.e. rat/mouse islet cells [11, 12, 38] or purified beta cells [11, 14, 39]. These cells were thus used for the initial comparisons with human islets exposed to cytokines with or without concomitant treatment with the iNOS blocker l-NMMA (Fig. 1 and ESM Fig. 1). Cytokine-induced NO production was similar in INS-1E cells and human islets (ESM Fig. 1a, d), while MIN6 cells showed lower nitrite production (ESM Fig. 1b, c). Interestingly, cytokines did not induce iNOS expression or NO production by HβCL cells in the experimental protocol used (ESM Fig. 1e, f); thus the iNOS blocker was not used in these cells. The iNOS blocker l-NMMA inhibited NO production in rat, mouse and human cells (ESM Fig. 1a–d). Preventing NO formation decreased cytokine-induced beta cell death in rat but not in mouse or human cells (MIN6 cells were studied after 24 h and 48 h of cytokine exposure) (Fig. 1a–d). Blocking NO formation induced a small but significant increase in cell death in human islet cells exposed to IL-1β + TNF-α + IFN-γ (Fig. 1d). The HβCL cells were treated with different combination of cytokines and apoptosis was assayed in the presence of different concentrations of FBS (0%, 1% and 2%; ESM Fig. 2). At higher FBS concentrations, apoptosis was lower in control cells but cytokine-induced apoptosis was not affected. The 2% FBS culture condition was therefore chosen for the subsequent experiments in which HβCL cells were exposed to cytokines. Cytokine-induced apoptosis in HβCL cells (that do not produce NO) confirmed that, under the experimental conditions used, NO is not required for human beta cell death (Fig. 1e). IL-1β alone neither induced apoptosis in HβCL cells (Fig. 1e) nor induced iNOS expression or NO production compared with controls (ESM Fig. 1e, f). As previously described, combinations of two or three cytokines block SERCA2B expression in rat beta cells and INS-1E cells  (data not shown) and induced a significant increase in the expression of the ER stress markers Chop, activating transcription factor 4 (Atf4), binding immunoglobulin protein (Bip; also known as HSPA5) and Xbp1s (ESM Fig. 3). These cytokine effects were prevented by blocking iNOS (ESM Fig. 3). In mouse MIN6 cells the induction of most markers of the UPR (i.e. Atf4, Bip and Xbp1s) after both 24 and 48 h of cytokine exposure were less marked than in rat cells (compare ESM Fig. 4b–d, f–h with ESM Fig. 3b–d). The only UPR marker clearly upregulated by combinations of two or three cytokines and inhibited by the iNOS blocker was Chop (ESM Fig. 4a, e). For human islets we used the combination of TNF-α + IFN-γ, which induces a marked ER stress activation , and also a combination of three cytokines, namely IL-1β, TNF-α and IFN-γ. The combination TNF-α + IFN-γ induced expression of UPR markers (Fig. 2b–e), without modifying SERCA2B (also known as ATP2A2) mRNA expression (Fig. 2a). These cytokines induced negligible NO formation (ESM Fig. 1d), and l-NMMA did not prevent TNF-α + IFN-γ-mediated activating transcription factor 3 (ATF3), BIP or XBP1s mRNA induction (Fig. 2b–e). There was, however, a small non-significant trend for a decrease in CHOP mRNA expression under these experimental conditions. The combination of IL-1β + TNF-α + IFN-γ induced a greater than tenfold increase in nitrite accumulation in the human islets (ESM Fig. 1d), but induced a less marked expression of UPR markers (Fig. 2b–e); BIP was the only marker with expression significantly decreased by l-NMMA (Fig. 2d). As BIP is a crucial chaperone for cell defence against ER stress [40, 41], this finding may explain why blocking NO increased IL-1β + TNF-α + IFN-γ-induced human islet cell death (Fig. 1d). The concentration of l-NMMA used to prevent cytokine-induced NO formation by human islets is not toxic on its own to human pancreatic beta cells (Fig. 1d and Eizirik et al ). We cannot, however, exclude some toxicity of l-NMMA when combined with the three cytokines IL-1β + TNF-α + IFN-γ in human islets (Fig. 1d) or when used alone in INS-1E cells (Fig. 1a). In line with the human islet data, exposure of HβCL cells to different cytokine combinations increased expression of the UPR markers CHOP, ATF3, XBP1s and phospho-eIF2α (Fig. 3) and led to a non-significant trend for increased BIP expression (Fig. 3e, i), without affecting SERCA2B mRNA and protein expression (Fig. 3a, b). Exposure of HβCL cells to IL-1β alone did not increase the ER stress markers tested (Fig. 3c–j). In order to obtain a broader evaluation of the impact of cytokine exposure on primary human or rodent islet cells, we made a global comparison of cytokine-modulated gene expression in human and mouse islets, and in FACS-purified rat beta cells based on previously published microarray and RNA sequencing data [17, 42, 43, 44, 45]. There was an overall higher ranking similarity between human and mouse gene expression than between human and rat gene expression for both up- and downregulated genes (ESM Fig. 5a, b), which may, in part, be due to the fact that we analysed human and mouse islets against pure rat beta cells. In order to confirm the validity of the analysis, the three human datasets were compared with each other (ESM Fig. 6a, b), and showed greater similarity than between the human and rat or mouse datasets. An alternative analysis is presented in ESM Table 4. In all datasets, a number of differentially expressed genes (up- and downregulated) were selected, following criteria of p < 0.05 and fold change >2 (or <0.5 in the case of downregulation). The significance of the similarity (i.e. number of common genes) of the selection in two datasets was estimated, and in all cases (except HC3 in the downregulation case) a greater significance was found between human and mouse than between human and rat (ESM Table 4). Analysis of ER stress markers present in the datasets (ESM Table 5) confirmed in primary rat and mouse islet cells the data obtained by RT-PCR in INS-1E and MIN6 cells (ESM Figs 3 and 4). Of particular relevance, cytokines did not inhibit SERCA2B expression in human islet cells, while they induced 20% and 65% inhibition in mouse islet cells and primary rat beta cells, respectively. We next examined whether ER stress contributes to cytokine-induced human beta cell apoptosis. For this purpose, human islet or HβCL cells were exposed to cytokines with or without treatment with TUDCA. In human islet cells, 2 h pre-treatment with TUDCA followed by 48 h exposure to IL-1β + IFN-γ or TNF-α + IFN-γ combined with the chemical chaperone nearly completely prevented cytokine-induced apoptosis (Fig. 4a, b). TUDCA pre-exposure (24 h) followed by 24 h culture of HβCL cells in the presence of two or three cytokines plus TUDCA also decreased cytokine-induced apoptosis (Fig. 4c, d); a shorter TUDCA pre-exposure time (2 h) failed to protect these cells from cytokine-induced cell death (Fig. 4e, f). These findings were confirmed by an independent series of experiments using a previously tested siRNA targeting CHOP (also known as DDIT3)  (ESM Fig. 7). This siRNA reduced cytokine-induced CHOP expression by 60% (ESM Fig. 7a) and partially protected HβCL cells against cytokine-induced apoptosis (ESM Fig. 7b). We next examined the downstream mechanisms by which cytokines and ER stress contribute to human islet apoptosis. Cytokines induced a biphasic JNK activation in HβCL cells, with peaks at 0.5 h and 8 h (Fig. 5a). As well as JNK activation, a major cellular outcome resulting from cytokine exposure is the reduction of AKT activation . The phosphorylation of AKT, however, did not change in cytokine-treated HβCL cells at any of the time points investigated (ESM Fig. 8a, b). Cytokines also induced activation of IRE1α, which was more marked at 8–16 h (Fig. 5b). Phospho-IRE1α was already increased after 0.5 h in HβCL cells exposed to IL-1β + IFN-γ (ESM Fig. 9a). Knockdown of IRE1α with three independent siRNAs (ESM Fig. 9b–g) decreases JNK phosphorylation by ∼40% (ESM Fig. 9 b, d, e, g) in HβCL cells after 0.5 h and 8 h of IL-1β + IFN-γ treatment (ESM Fig. 9b–g), suggesting that the IRE1α pathway contributes to both early and late JNK activation in cytokine-exposed human beta cells . Two independent siRNAs were used to suppress JNK1 (also known as MAPK8) in HβCL cells, achieving >60% inhibition of JNK1 expression (Fig. 5c, d) and a 60% inhibition of c-JUN phosphorylation, the downstream target of JNK activity (Fig. 5c, e). Suppression of JNK1 partially protected the HβCL cells against cytokine-induced apoptosis (Fig. 5f), showing a key role of JNK in cytokine toxicity in human beta cells. Interestingly, TUDCA pre-exposure (24 h) also significantly decreased cytokine-induced JNK phosphorylation in HβCL cells (Fig. 5g–h), suggesting that the protective role of TUDCA against cytokine-induced human beta cell apoptosis (Fig. 4) may involve the inhibition of ER-stress-dependent JNK activation and subsequent triggering. Here, we show that proinflammatory cytokines induce ER stress in human, mouse and rat beta cells by different mechanisms. ER stress is NO dependent in rat, partially NO dependent in mice and NO independent in human beta cells. A global comparison of cytokine-modulated gene expression in human and mouse islets and in FACS-purified rat beta cells confirmed a closer similarity between human and mouse than between human and rat, which is in line with previous observations regarding susceptibility to cytotoxic agents . Finally, we confirmed that ER stress contributes to cytokine-induced human beta cell apoptosis and identified JNK as a crucial downstream effector. The first indication that ER stress contributes to beta cell death was the observation that a chemical NO donor causes ER Ca2+ depletion, CHOP induction and apoptosis in mouse MIN6 cells . It was subsequently shown that IL-1β + IFN-γ causes severe ER Ca2+ depletion, UPR induction and apoptosis in rat beta cells and INS-1E cells via inhibition of SERCA2B secondary to NO production . On the other hand, IL-1β + TNF-α + IFN-γ downregulates SERCA2B and induces XBP1 splicing and PERK/eIF2α phosphorylation in mouse islets and MIN6 cells, to a large extent independently of NO production in the time period studied . In human islets TNF-α + IFN-γ induces a more marked activation of the ER stress response , in spite of the fact that IL-1β + IFN-γ induces a nearly tenfold higher increase in NO production [22, 47]. These conflicting observations caused confusion in the field, as it was not clear whether they were due to species differences or other reasons. To clarify this issue, we measured NO production, apoptosis and indicators associated with ER stress in rat, mouse and human beta cell models after cytokine treatment in the presence or absence of the chemical NO inhibitor l-NMMA. The results in the rat INS-1E cells confirmed the major role for NO in cytokine-mediated apoptosis and ER stress induction . The data obtained in the mouse MIN6 cells confirmed a mostly NO-independent induction of ER stress markers . Finally, NO inhibition did not prevent cytokine-induced ER stress and apoptosis in human islet cells, confirming previous observations regarding the lack of a role for NO in human beta cell apoptosis [22, 48]. BIP was the only ER stress marker with significantly decreased expression after inhibition of NO formation. The expression of BIP is crucial for cell defence against ER stress [40, 41]. BIP decrease may thus explain the observed increase in IL-1β + TNF-α + IFN-γ-induced human islet cell death when NO formation is inhibited. As there was no cytokine-mediated iNOS induction in the HβCL cells, it is possible that the observed tenfold increase in NO generation by human islets exposed to cytokines does not originate from beta cells, but from other cell types present in isolated human islets, such as ductal cells . The nature of the mechanisms leading to cytokine-induced ER stress in human beta cells remains unclear, but it may be related to the early and major cytokine-induced insulin increase , effects on other Ca2+ pumps besides SERCA2B, massive upregulation of MHC class I expression and delayed proinsulin processing. As the induction of ER stress in human islets was less marked than in the rodent models, this raised questions about whether ER stress is indeed important for cytokine-induced apoptosis in human beta cells and, if it is, the nature of the mechanisms involved. To test this, human islet cells or HβCL cells were exposed to cytokines in the presence of the chemical chaperone TUDCA, previously shown to alleviate ER stress and protect rodent islet cells against cytokine-induced ER stress . The significant protection against cytokine-dependent human beta cell apoptosis with TUDCA and the small, although significant, protection after blocking the ER-stress-induced pro-apoptotic transcription factor CHOP support the contribution of ER stress in this process. In a final series of experiments we identified JNK activation as a downstream mechanism leading to human beta cell apoptosis, which is in line with previous observations in rodent beta cells [50, 51]. Interestingly, TUDCA significantly decreased cytokine-induced JNK activation, providing a mechanistic explanation for the protective effect of this chemical chaperone against cytokine-induced human beta cell apoptosis. During ER stress, IRE1α triggers JNK phosphorylation through the adaptor protein TNF receptor-associated factor 2 (TRAF2) . The concomitant activation of both JNK and IRE1α after cytokine exposure in the HβCL cells (Fig. 5a, b), the decrease in JNK phosphorylation after IRE1α knockdown (ESM Fig. 9) and the modulation of IRE1α/JNK pathway by cytokine-induced IRE1α-binding proteins  suggest that the IRE1α/JNK pathway plays a key role in cytokine-induced apoptosis in human beta cells. This indicates that pathological JNK activation, through IRE1α or other pathways, may be an interesting target for the prevention of beta cell death in type 1 diabetes. We thank: A. Musuaya, M. Pangerl, S. Mertens and R. Lemma for excellent technical support; and Drs G. Bottu and J.-V. Turatsinze for the bioinformatics support. We are grateful to the Flow Cytometry Facility of the Erasmus Campus of the ULB and C. Dubois for the cell sorting. This work was supported by grants from the JDRF International (grant number 17-2013-515 to DLE, 17-2012-346 to GSH and 5-CDA-2014-184-A-N to FE), European Union (projects NAMIT and BetaBat, in the Framework Programme 7 of the European Community), Actions de Recherche Concertée de la Communauté Française (ARC) and the Fonds National de la Recherche Scientifique (FNRS), Belgium to DLE. TRN is a recipient of a PhD scholarship from the São Paulo Research Foundation (FAPESP), Brazil and FAG of a postdoctoral fellowship of the FNRS, Belgium. DLE, FB, TRN, ML, JB, IM, FE and GSH contributed to the study concept and design. FB, TRN, JB, IM, MI-E, FAG, OV, MB, JMO and MC contributed to the acquisition and interpretation of the data. FB, TRN, ML, JB, IM, FE, GSH, PM and DLE analysed the data. FB, TRN, JB, IM, MIE, FAG, OV, MB, JMO, MC, FE, GSH, PM and DLE contributed reagents/materials/analytical tools. DLE, FB and ML wrote the paper. DLE is responsible for the integrity of the work as a whole. All authors revised the article and approved the final version to be published.